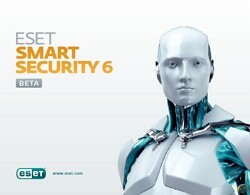 ESET Smart Security 6: try out the free beta and win a full license .100 WINNERS EACH WEEK. Install ESET Smart Security 6 BETA Protect at least one device with ESET Anti-Theft to automatically enter to win a full license of ESET Smart Security for one year. The contest runs between May 23 and June 23, 2012. Every week, 100 winners are drawn (a total of 500) Winners will be contacted via email they used to set up anti-theft.